Video Segments from The World As It Could Be Program (TWAICB) special event on Monday, March 4th, 6:00 – 8:00 p.m. at Balboa High School in San Francisco. In the last 7 years of work with TWAICB, students have inspired their school communities to recognize the day-to-day human rights issues they face, many focused on bullying, hate-based actions and gun violence. With national attention focused on violence and guns, and with leaders like President Obama calling upon all of us to realize that we must change what is going on, we have an opportunity to not only implement engaging and rigorous educational tools, but also to have our youth be leaders in forging the change in thinking and action needed to move away from violence, toward positive problem solving and conflict resolution. The March 4th event provided a beginning to do our part in contributing positively to the national conversation, as well as taking effective action in our communities. Part 1- Presentation by Frederick Marx, internationally acclaimed, Oscar- and Emmy-nominated producer/director popularly known for his film HOOP DREAMS, on his current documentary film Rites of Passage – The Right of Every Child Born (working title), on the importance of rites of passage for youth, including the elements that constitute positive, life-transforming rites of passage. 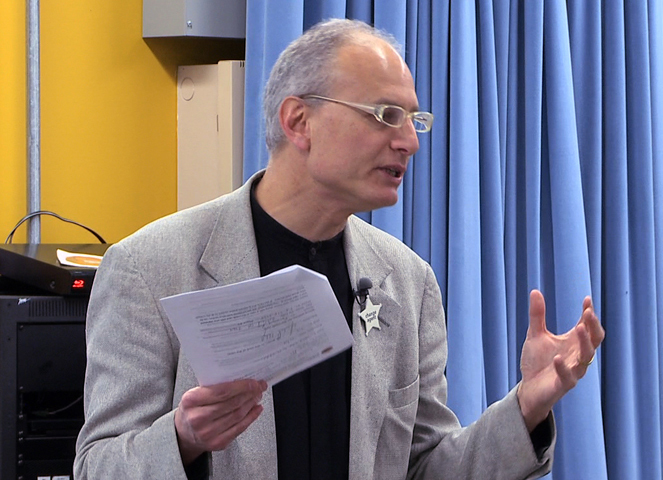 Part 2 – Question & Answer Discussion with Frederick Marx, offering additional insights about providing meaningful rites of passage in different settings and forums. Part 3 – Interactive discussion focused on a dramatization written and presented by students of Oakland, CA Fremont High School in December 2012 as part of their work with The World As It Could Be Program. Click here for a pdf of the write-up of this discussion, which includes the list of event participants, the scenario being discussed, and the full list of questions recommended to guide deeper understanding of the issues presented in the scenario so as to pave the way for needed change.